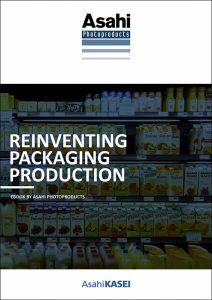 For consumer product companies, the quality and consistency of packaging is critical to ensuring brand integrity and a vital element of communication with today’s consumers. This includes a consistent appearance of brand colours and logos regardless of the material or printing technology used. At the same time there is the drive to reduce packaging waste with the aim for a sustainable balanced packaging product. Over the past few years, there have been significant advances in the flexographic printing technology that is commonly used in packaging production for branded products. It is Asahi Photoproducts experience that when brand owners and/or agencies are educated about the possibilities enabled by technology advances they are better able to collaborate with their converting partners to achieve the end goal: faster time to market, controlled costs and improved quality. In this ebook, readers will learn how advances in flexographic printing have enabled leading converters to increase quality, take advantage of the efficiencies of printing with a fixed set of inks, and improve overall equipment effectiveness (OEE) to deliver high quality packaging faster and more affordably in balance with the environment.